This research programme was commissioned and supported by Ngā Pae o te Māramatanga to gain insight into the value of the Māori language. Ngā Whakakitenga a Te Kura Roa: Whaihua was a part of a wider investigation into the national value of the Māori language. The main objective of the research was to investigate the community value of the Māori language among the whānau of Te Kōhanga Reo and Te Ataarangi. 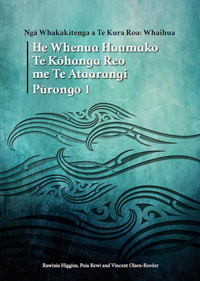 The authors and Ngā Pae o te Māramatanga humbly thank all, the whānau, the purapura, the communities and boards, vibrant locales through whom we were able to carry out this Māori language project.